Color their holidays bright with our truly original arrangement of red roses, white orchids and assorted fragrant greens. 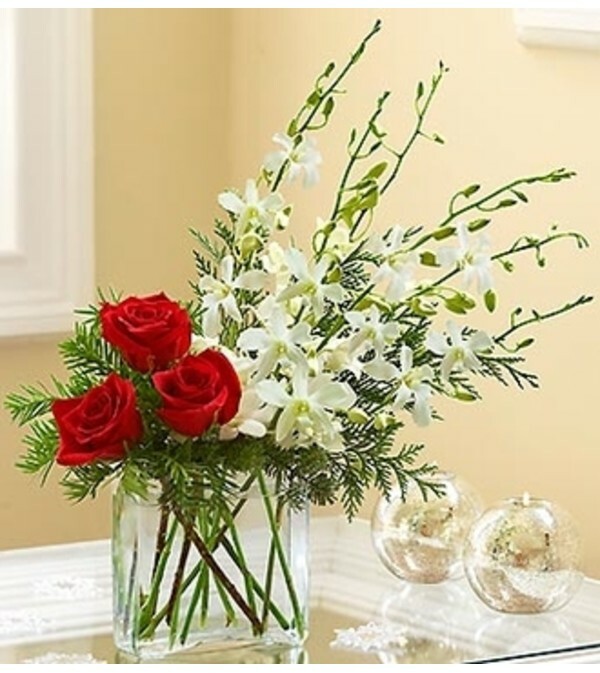 Accented with fresh holly and arriving in a chic rectangle glass vase, it’s the perfect combination of contemporary style and Christmas tradition. 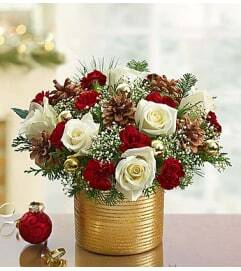 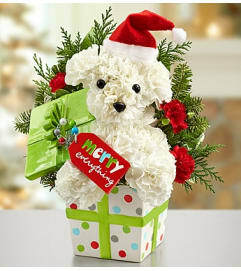 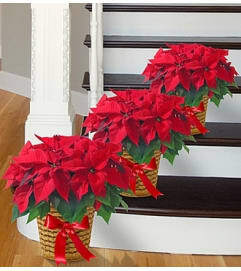 Luxurious arrangement of radiant red roses, stunning white orchids and assorted Christmas greens.